Travel to Latin America and experience a magical medley of influences, from the mysteries of the Incas, Mayas and Aztecs to the vibrant mix of European, African and Asian cultures. With four offices in four countries in Latin America, A&K's longstanding local connections make possible insider access opportunities out of the reach of the ordinary traveller. In addition, you stay in Latin America's finest hotels, historic haciendas and elegant resorts for the ultimate in luxury travel and meet the most knowledgeable local experts, from the former resident archaeologist at Machu Picchu to the owners of a rose plantation in Ecuador. With A&K in South America, enjoy a fiery tango show from VIP seats in Argentina, experience a private wine tasting in Chile or meet a famous Argentine artist in his studio. In Peru, take a sunrise stroll through fabled Machu Picchu. In Central America, walk above a rainforest canopy in Costa Rica and, in Mexico, explore a host of Mayan sites with your own private tour guide. In Latin America, cruise to the Galápagos on board the expedition ship 'Eclipse' and travel to a world teeming with wildlife. No matter which A&K journey or experience you choose, you're in the company of renowned experts who show you their Latin America as only a local can. Explore astounding Machu Picchu, cruise the Amazon or travel south to the stunning Colca Canyon, said to be twice as deep as the Grand Canyon. A&K's smaller groups, local connections, long-time local guides and a nimble vessel make a journey to Ecuador's Galápagos Islands unforgettable. Dance in Buenos Aires, marvel at thundering Iguazu Falls and walk in the footsteps of Eva Peron. History and ancient traditions come alive as A&K takes you on an unforgettable journey through this country of stunning natural beauty. From intoxicating Rio to the lush Amazon, A&K's insider knowledge makes the journey unforgettable. Meet a culture of spirited people as you journey from ancient ice fields to emerald lakes. Marvel at toucans, white-faced monkeys, treetop bridges and the endangered Atlantic green sea turtle in a country of great biological diversity. See ancient ruins and cultural traditions passed down from generation to generation. Explore the amazing historical ruins of the many countries that conquered Mexico and the finest accomplishments of the country today. An A&K journey to Peru shows you this welcoming, history-rich country at its best. 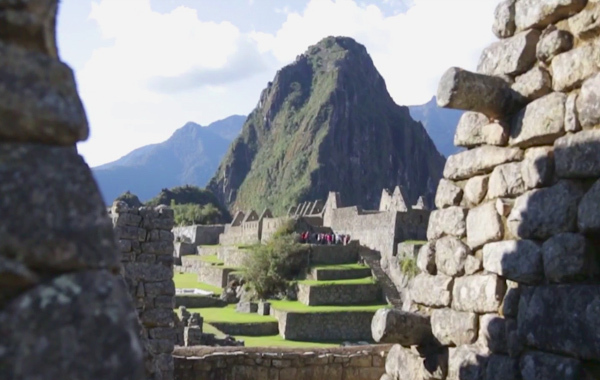 Travel in style by train to the mysterious citadel of Machu Picchu, meet the descendants of the Incans who built it, and experience the colonial splendors of Cusco — just a few of the inspiring experiences previewed in our exclusive video. Join us 600 miles off the coast of Ecuador for a dive in the spectacular waters of the Galápagos, meeting with sea lions, sharks, rays and turtles, and exploring one of the most magical places on the planet. Standing 500 feet across and 269 feet high, thunderous Iguazu Falls echoes against the backdrop of Argentina’s Iguazu National Park. Its sister park Iguaçu in Brazil offers no less alluring views. Glimpse both vantage points in all their glory with an insider's guide to this multifaceted UNESCO World Heritage Site. The rugged, pristine South American wilderness of Patagonia offers some of the most amazing, Instagram-able scenery in the world. Here's a look at five of our favorite locations in which to capture that perfect shot.